Back for the first blog post of 2013 and sadly, it’s not a happy one. I lost my sweet mom two days after Christmas. She’d experienced some health issues throughout November and rebounded for a time in December but unfortunately it was temporary. 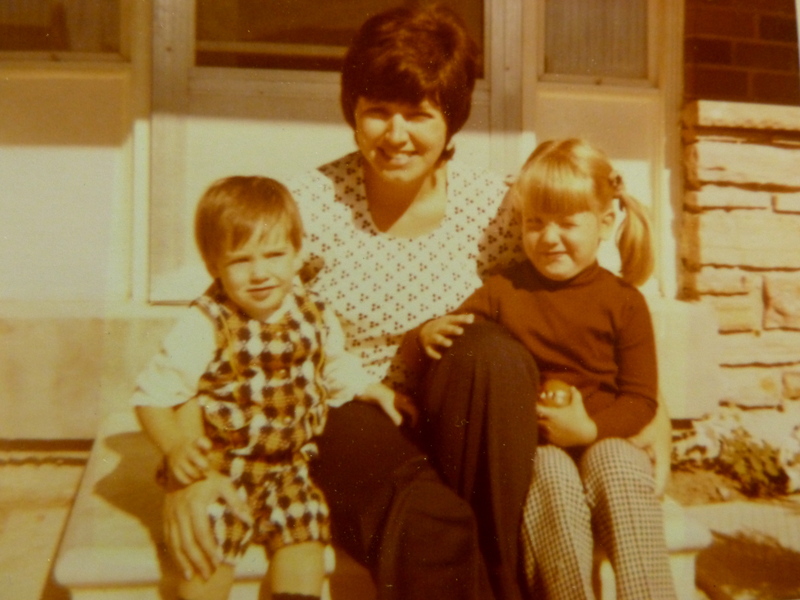 My mom, me in the plaid and my big sister. I’m not in a place where I have any kind of perspective or insights to share about this whole experience but I did volunteer to write this blog post because in the days since my mom’s death I have found that writing has become a lifeline. In the first few days after she died, I couldn’t sleep. I’d get up in the wee hours of the morning and was drawn to my laptop. I began writing my eulogy for her service, madly trying to commit every detail I’d miss and every memory I’d cherish to the page. I talked with my sister who said she was struggling to write something but for me it was the only thing that offered some sort of solace. I did a little bit of investigating and turns out there really is something to this idea of writing through the grief of losing someone you love. Author Louise Desalvo explores writing as a way to heal the emotional and physical wounds of life in her book Writing as a Way of Healing: How Telling Our Stories Transforms Our Lives. There are grief writing workshops, like this one, offered by hospices and community support groups. Grief even has its own genre, the literature of loss as explored recently by the New York Times. So I must be on to something.